Government efforts to improve the quality and take-up of science, technology, engineering and mathematics (STEM) skills have yielded some positive results. There remains, however, an urgent need for departments to set out a shared view of what they are trying to achieve and a co-ordinated plan for achieving it before government can demonstrate that it is delivering value for money, according to today’s report from the National Audit Office. Since the early 2000s there has been growing concern, including from the government, about how to achieve higher productivity and economic growth in an era of rapid technological change. Over time, this has generated the widely held belief that one of the UK’s key economic problems is a shortage of STEM skills in the workforce. Current estimates of the STEM skills problem vary widely and typically focus only on individual sections of the workforce. Existing evidence indicates that there is a STEM skills mismatch rather than a simple shortage. A mismatch can include many types of misalignment between the skills needed and those available in the labour pool. 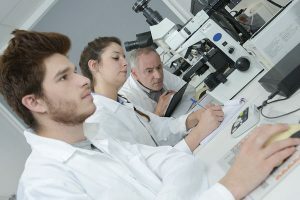 The NAO’s research indicates that there are particular shortages of STEM skills at technician level, but an oversupply in other areas, such as biological science graduates, who are then often underemployed in an economy in which they are not in high demand. Some major science and engineering bodies also believe that exit from the European Union could reduce the availability of STEM skills in the short term. Today’s report finds that a number of the individual initiatives aimed at boosting take-up and provision of STEM education have had a positive impact, and participation levels have grown in most areas of the STEM skills pipeline. STEM A Level entries have grown by around 3% since 2011/12. Starts on STEM apprenticeships have grown by 18%, driven mainly by starts in apprenticeships covering: engineering and manufacturing technologies; and construction, planning and the built environment. Enrolments in full-time undergraduate STEM courses grew by 7% between 2011/12 and 2015/16. However, despite the progress being made in expanding the supply of STEM skills, a historic lack of coordination across government creates a risk that the overall approach is not cohesive, and that individual initiatives intended to boost STEM skills do not add up to a coherent programme of intervention. The success of individual initiatives also masks some ongoing problems. There is a consistent participation gap in terms of gender: in 2016/17, women made up only 9.4% of A Level examination entries in computing, 21.2% in physics, and 39% in mathematics, and just 8% of starts on STEM apprenticeship courses. The areas where participation in higher education STEM courses has grown most strongly also appear to reinforce reported skills mismatches. According to longitudinal research, of the 75,000 people who graduated with a STEM degree in 2016, only around 24% were known to be working in a STEM occupation within six months. The NAO finds that in the schools sector, better training and attempts to attract former teachers back to the workforce show some positive results, according to early stage research on the £67 million maths and physics teacher supply package.